Earlier this year, at a museum in Munich, I snapped a photo of my mischievous 12-year-old son standing, unattended, in front of a $200 million dollar version of Van Gogh’s iconic sunflowers. There he was, alone with the picture, his fingers still sticky with gelato, and I thought, is something infamous about to happen here? It got me wanting to read some great art stories. Forged: why fakes are the great art of our age by Jonathon Keats explores the lives and works of six modern forgers, and leads one to ask the age-old question wherein lies the true value of art? Profiling the lives of these notorious copyists offers a different perspective on looking at art, through these artists who have taken a free hand in operating under the names of their famous counterparts. Are they really the great artists of our age, as Keats suggests? 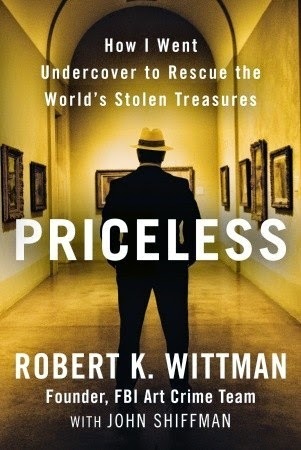 Two great books about the world of art theft are Robert K. Wittman’s Priceless: how I went undercover to rescue the world's stolen treasures, and Hot Art: chasing thieves and detectives through the secret world of stolen art by Joshua Knelman. Both books are fast-paced true crime stories involving international intrigue of James-Bond like proportions. Former FBI investigator Wittman reveals the evolution and inner-workings of his Art Crime Team, offering fascinating insight into major cases they have solved in the world of stolen art, from the man whose job it was to catch them. 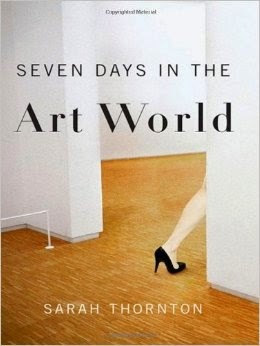 Knelman, a Toronto-based journalist, probes dark corners of the world of art crime. I especially liked his source, “Paul”, and how he walks us through his education in the thefts of artifacts in England. As for the Van Gogh, my son wiped his hands on his shirt and the art world was safe for another day. 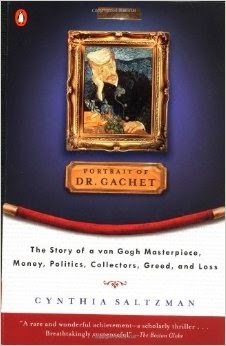 Portrait of Dr. Gachet: the story of a Van Gogh masterpiece, money, politics, collectors, greed, and loss by Cynthia Saltzman and Sarah Thornton’s Seven Days in the Art World.